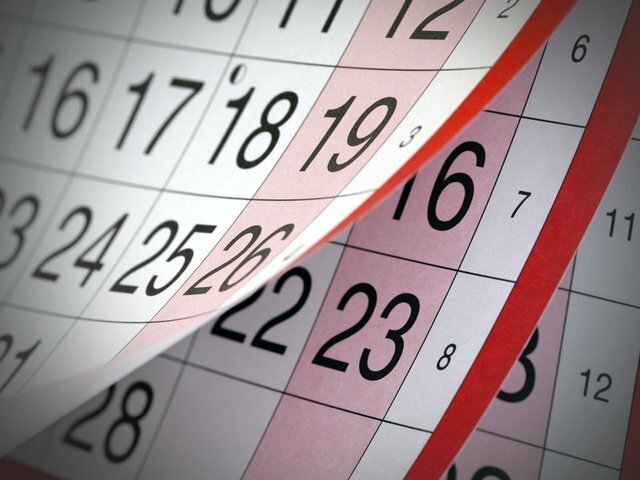 A list of holidays, observances and events recognized throughout the month of February including federal, non-federal and religious holidays and more. Groundhog Day (Pennsylvania German: Grund'sau dåk, Grundsaudaag, Grundsow Dawg, Murmeltiertag; Nova Scotia: Daks Day) is a popular tradition celebrated in the United States and Canada on February 2. It derives from the Pennsylvania Dutch superstition that if a groundhog (Deitsch: Grundsau, Grunddax, Dax) emerging from its burrow on this day sees a shadow due to clear weather, it will retreat to its den and winter will persist for six more weeks, and if it does not see its shadow because of cloudiness, spring will arrive early. While the tradition remains popular in modern times, studies have found no consistent correlation between a groundhog seeing its shadow or not and the subsequent arrival time of spring-like weather. The United Service Organizations Inc. (USO) is a nonprofit-charitable corporation that provides live entertainment, such as comedians, actors and musicians, social facilities, and other programs to members of the United States Armed Forces and their families. Since 1941, it has worked in partnership with the Department of War, and later with the Department of Defense (DoD), relying heavily on private contributions and on funds, goods, and services from various corporate and individual donors. Although it is congressionally-chartered, it is not a government agency. Washington's Birthday is a United States federal holiday celebrated on the third Monday of February in honor of George Washington, the first President of the United States, who was born on February 22, 1732. Since the Uniform Federal Holidays Act of 1971, its observance can occur between February 15 and February 21 inclusive. Hire Heroes USA hosts several different types of events that help transitioning military members, veterans and military spouses prepare for their job search or connect with military-friendly employers. These events are often hosted in partnership with companies or military bases, and all events are free for U.S. military members, veterans and military spouses. Some of our events cater specifically to certain populations, and those designations are made in the calendar below. Also included on the calendar are dates for our quarterly Virtual Career Fairs and Virtual Career Transition Workshops.